Here is an easy craft for kids! 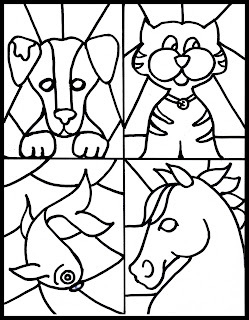 Download this free printable for kids to color. Use markers, pencils, or crayons. 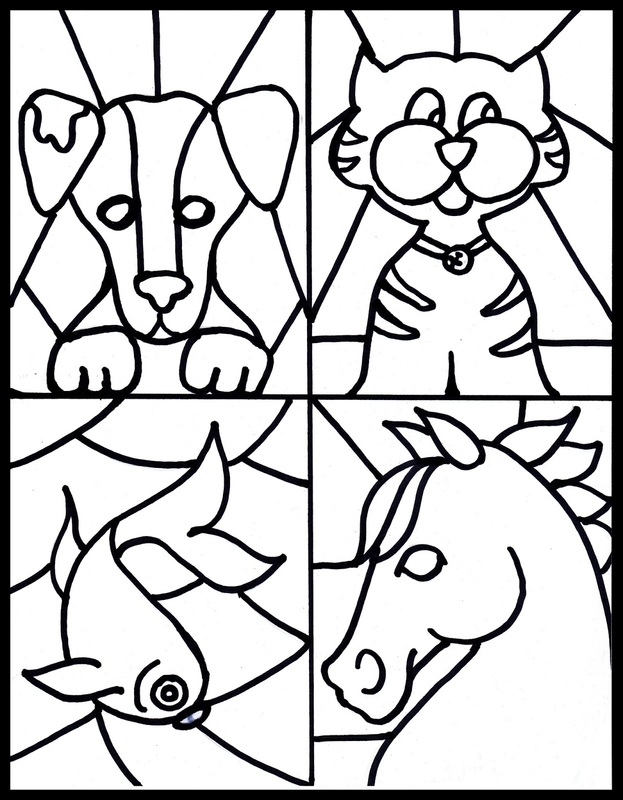 Simply print on tracing paper so that the design shows through for a fun stained glass effect. I love this idea! And the little pets are super cute. Pinning, and thanks for sharing at my link party! So cute! My kids love decorating our windows! Thank you for another printable! Oh your kids printable will be a lot of fun for the kids. The animals are adorable. Thank you for sharing with the Clever Chicks Blog Hop this week; I hope you’ll join us again! Such a fun project. Thanks for sharing this with the readers at BeColorful.